The new student residencies on Northfields Avenue at the University of Wollongong will deliver a unique and contemporary accommodation solution. With a total of 1054 beds across 3 buildings, the facility is focused on the integration of learning and social opportunities in a residential context. 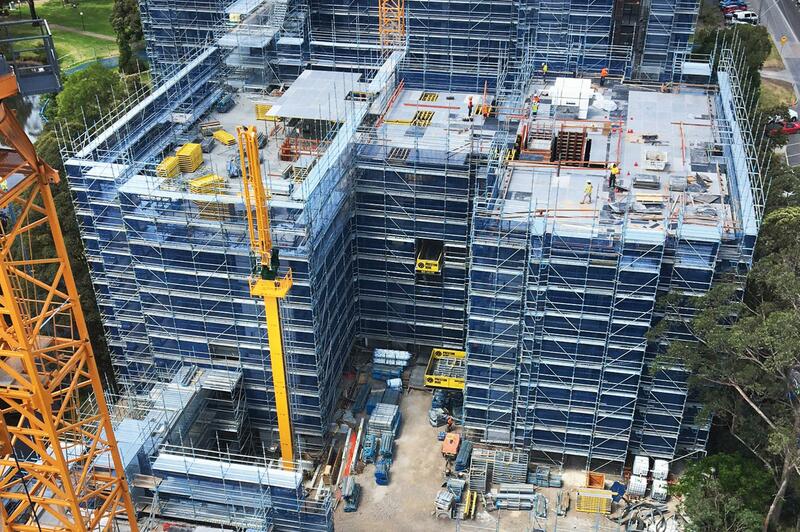 Doka Australia supplied Formsite Pty Ltd the Dokadek 30 system. Provide a slab formwork system that can be easily replicated across all three similar towers to ensure uniformity and speed from repetition when forming. To provide a formwork system for the complete slab that satisfies the cantilever requirements to suit the scaffold layout at the perimeter of each building. Thank you for your interest - UOW Student Accommodation. Thank you very much for your interest - UOW Student Accommodation.